It only took six months, but I think my hair is finally getting back to its pre-chop length. It probably would have gone a lot faster had I stayed on Hairfinity, but I just kept forgetting to take them every day after the initial month! Anyway, now that it’s considerably past shoulder length, I can start doing pretty summer hairstyles with it. Lately, I’ve been using the NuMe Titan 3 to get bouncy curls that eventually turn into loose waves throughout the week. I can literally do my hair once and it will look great for five days. The Titan 3 comes with three separate curling wand attachments at 19mm, 25mm, and 32mm to get a ton of different looks with the one tool. It’s like three curlers in one, which helps justify the price tag (although you don’t have to pay full price for this– scroll down for a coupon code!). I’ve typically been using the 25mm because with my thick hair, the curls are tight enough to last, but the barrel is thick enough to work with a lot of hair at once. You guys know how I operate: I like looks that make it look like I tried without much fuss at all. That’s why I love wearing my hair in this half-up, half-down boho braided bun. It looks messy-chic, but just done enough that it can even go from day to night. It also looks great whether you’ve just curled your hair, or they’ve transformed into worn-in waves after a couple of days. 1. Use the NuMe Titan 3 with the 25mm barrel to curl your entire head of hair. 2. Finger comb the curls to break them up and give them a more natural look. 3. Separate the top section of your hair, and start braiding it in back. 4. 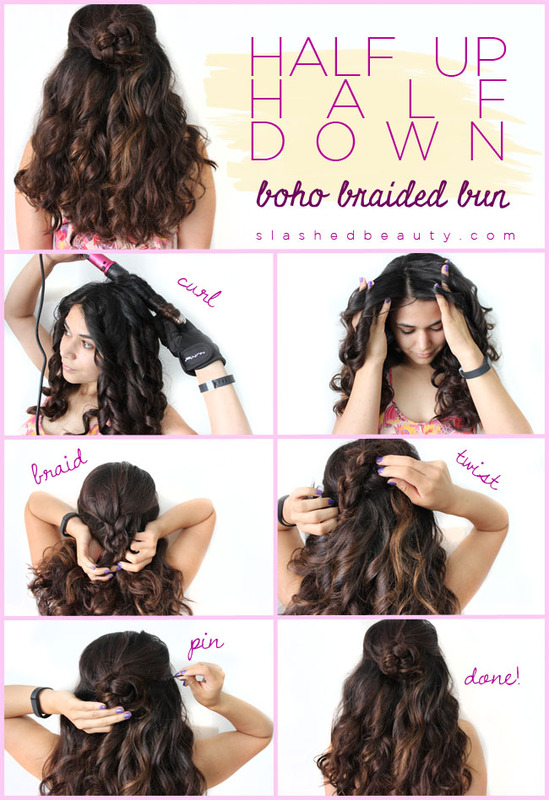 Twist the braid into a bun. Easy peasy and totally versatile! Good news: NuMe is offering a coupon to my readers to get the Titan 3, or any other curling set, for $100 off! 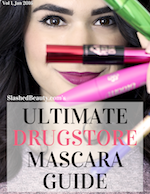 Use the code SLASHEDBEAUTY at checkout when shopping on their website. You can also use the code LONGLASHES for 40% off any other hot tools. gorgeous style! I have this wand and love it! Gorgeous! I sold my Titan 3 to a friend because she had to have it… lol I have their reverse wand, 32mm and Lustrum but I never use them unless I’m doing someone elses hair or am feeling a new look, I hardly use heat on my hair. 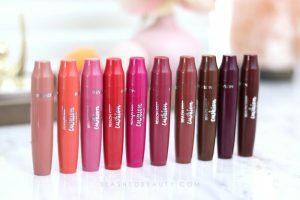 I am absolutely loving all the fun colors they have, I think compared to when I had my first hot tools when I was in elementary school – they look so much cooler. 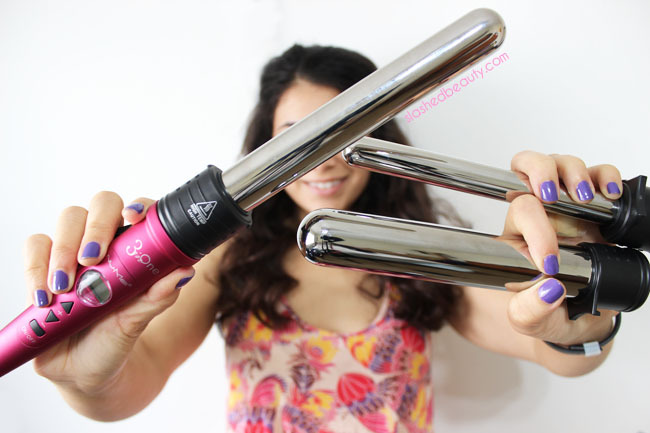 You have stunning hair- I love irons with options like this! Your hair is just gorgeous here! Absolutely gorgeous look! Love NUME! Girl you seriously have the most gorgeous curls! God you have gorgeous hair. I have never been able to do anything behind my head so I envy you this ability. I love this look on you. I’ve been wearing my hair in a thick braid these days just to keep it tidier. I may try this look next time I go out! I adore those curls. Love how thick your hair is! 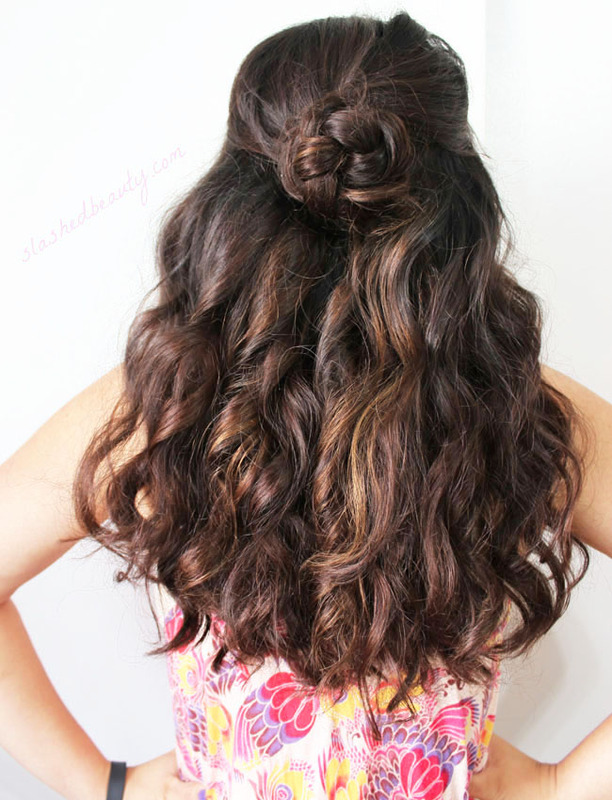 Not only is that hair style cute, it’s so easy to do. I think your hair is amazing!!! Total hair envy! I wish mine was as thick as yours! Your hair is AMAZING, great tutorial! So pretty, and what a great tutorial. Your hair is so thick, I’m so jealous! Love this do. Very cute for long hair!